The Chiefs claimed their ninth consecutive victory over the Blues with a below-par performance that nevertheless displayed their championship qualities, while Sir John Kirwan's side were left to lament two key moments of self-destruction as they slipped to their seventh consecutive loss of the season. The Blues front-row was penalised for angling in at a centrefield scrum on halfway after 25 minutes, from which Aaron Cruden kicked the Chiefs deep into the victors' 22; the hosts won the ensuing lineout that the Blues initially defended by refusing to engage the driving maul, and James Lowe clawed his way over the line four phases later for a converted try to claim a 10-0 advantage. 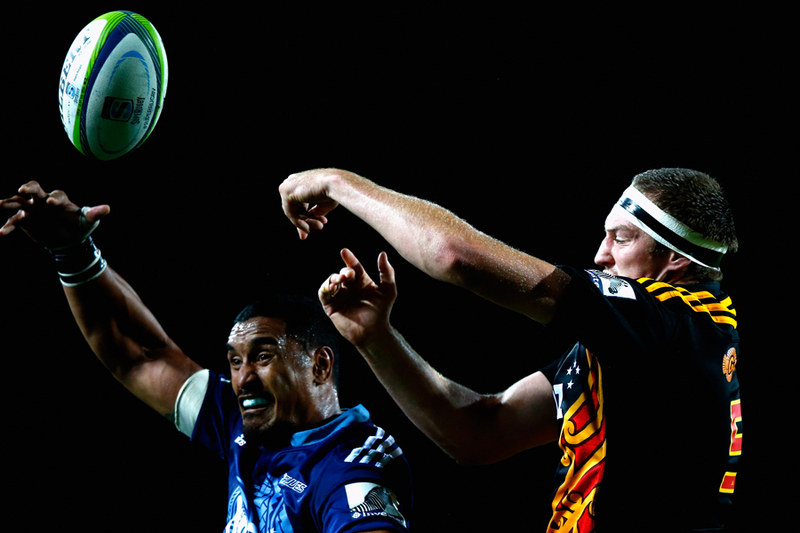 Dan Bowden reduced the margin with a penalty, and Jerome Kaino powered through a gap from a wonderful wheeled scrum for a converted try to level the scores shortly after half-time, and the Blues were in the ascendance when Bowden kicked a goal to claim the lead five minutes later. The Blues looked the most likely to score even as Aaron Cruden levelled the score, but the hosts landed a sucker punch - the killer blow - 10 minutes later, after the visitors lost control of the ball at an attacking ruck deep in the home 22: the Chiefs countered, Japan captain Michael Leitch leading the charge deep into Blues territory, and Tom Marshall crossed through a week tackle 10 phases later to deflate the visitors. Cruden extended the margin with another penalty, as the Blues failed to roll away at a breakdown, but replacement fly-half Ihaia West, on for Bowden, kicked a goal after the siren to give the visitors a well-deserved bonus point - their fifth of the campaign. Blues captain Kaino was happy that his side showed "a good underbelly" to work themselves back into the game, and to take the lead midway through the second half, but he acknowledged that "discipline really let us down" in the first half, when they conceded the first five penalties of the game and were on the wrong side of a 7-2 count at the interval. 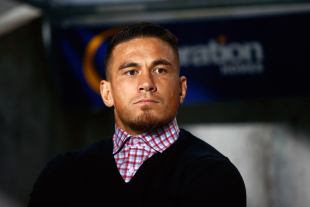 "We weren't able to play on the right side of the park," Kaino said. "The boys showed a lot of heart and we were in there right to the end but a class side put us under the pump. Kaino said of the Blues' improved performance in the second half that "we had to back ourselves and throw the ball around". "We showed at times that we could make inroads, but turnover ball they punished us." Chiefs captain Liam Messam said "Blues-Chiefs games are always tough". "Doesn't matter what your record is, it's always going to be a physical battle. The Blues came hard in the second half, and I'm just proud of the boys that we got control back."